Chef Panayiotis Karafoulides from the Culinary School DELTA and Louloudia Alexiadou are waiting for the fish that have been caught by Andreas and they choose the best. 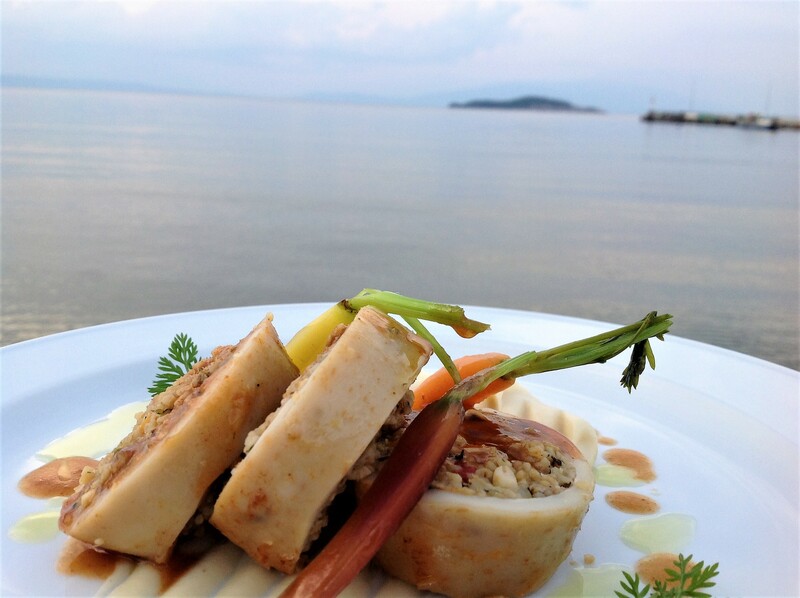 Then, they head to the kitchen of “restaurant Akroyiali” in order to create a menu inspired of the Aristotelian «water element». They mix the fish with wild herbs and forest fruits and when the ingredients are combined the smell dominates! The wine is always served, there’s plenty of tsipouro and a lot of fun! This is actually spring’s most delicious Saturday night! Come, taste the dishes and enjoy with us! You will be members of our joyful team!